The rhythm is inside you... and the right gear is essential for setting it free! The time for toys or hand-me-downs is over. 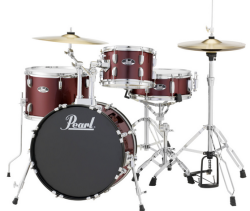 The Pearl Roadshow is a complete drumset package with everything you need to start your rhythmic journey to the big-time.